Living a little better, one day at a time. Let me start this post by confessing that I am really, really excited to not wear maternity clothes ever again. Even though choices have become far more wearable over the past few years, the truth is that maternity clothing is expensive, you can’t wear it for very long and there just isn’t very much that would look flattering on a big bump. Having said that, it’s entirely possible to feel both comfortable and more or less stylish in maternity wear, and it’s relatively simple to achieve this without breaking the bank if you plan ahead a little bit. I’ve put together my five absolute must-have pieces that are getting me through all four seasons (from February to October, possibly the most annoying time period to be pregnant). This particular piece is from H&M (£14.99) and has the benefit of being buttonless, meaning that you can buy it in or close to your usual size without your bump causing any obstruction. I also have a whole boatload of regular button-up cardigans that I just wear unbuttoned over vest tops or dresses – it means I don’t have to invest in lots of new jumpers to keep my arms warm in chilly weather! I’ve always been a huge fan of cardigans, as they can really give an outfit that put-together look, and I already know that they’ll be featuring heavily in my post-natal transition wardrobe! Trust me, these are absolutely essential. They go with almost everything, from jeans and leggings to more formal skirts, and they are perfect for wearing under the above-mentioned cardigans. This particular set is from New Look (£9.99) and is part of their extensive maternity collection. I have also found that normal vest tops in two sizes above my regular size are fitting me just fine at 30 weeks, so I’ve stocked up on a few from Primark. For me, these are an absolutely non-negociable part of my wardrobe. I don’t really enjoy wearing jeans very much, especially not at the moment, as I feel so uncomfortable anyway. On top of this, maternity jeans are really expensive, and since your size changes so rapidly during pregnancy, you can only wear a pair for a few months before it becomes redundant. Instead, I invested in a few sets of maternity leggings. I recommend New Look‘s twin pack (£14.99), as they’re durable, nice and opaque and insanely comfortable. I wear them almost every day! At the beginning of my pregnancy, I found that I could wear most of my normal clothes for quite a long time. The one thing that did get tight and uncomfortable really fast was tights, so I invested in a set of maternity tights from ASOS (£24.00) to wear to work relatively early on. While £24.00 might be much more than you would usually spend on a three-pack of tights, I have to say that this purchase was entirely worth the splurge. I bought them in March, and only one of the three pairs has broken so far, which is an absolute record for me. I usually have to buy new tights every few weeks! They also come with a supportive band at the top, which helps them stay up even when your growing tummy doesn’t quite fill them out yet. While I prefer to bounce around in leggings and slouchy tops at the moment, I also needed some work-suitable clothing. This particular model is, again, from New Look (£14.99). As I mentioned above, I’m not the biggest fan of trousers at the best of times, so I invested in a handful of dresses. I have some maternity dresses, but apart from one they’ll all be going on eBay this weekend as they make me look like an absolute Heffalump. I would definitely advise you to try maternity dresses on rather than buying them online, as some styles are really flattering while others are completely hideous. For me, I’ve found that bodycon-style maternity dresses work best, along with some regular smock dresses that I bought one size up and which really flatter my bump. Skater dresses, on the other hand, don’t work for me at all. I am relatively certain that this hugely depends on everyone’s individual body shape, so I can’t stress this enough: try them on, try them on, try them on!!!!!! If you’ve had to navigate the minefield of maternity wear in the past, please do tell me about your experiences in the comments! 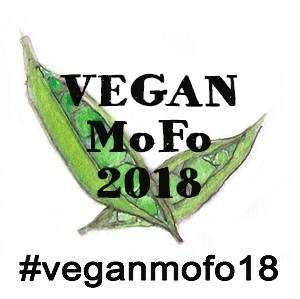 Vegan MoFo 2018 | Let’s Go! This page and all pages on this blog make use of Google products. Full information about how these are used can be found on the Privacy page. I am a participant in the Amazon EU Associates Programme, an affiliate advertising programme designed to provide a means for sites to earn advertising fees by advertising and linking to Amazon.co.uk. Please visit the Terms & Conditions page for information about this site’s use of Google products & affiliate schemes.